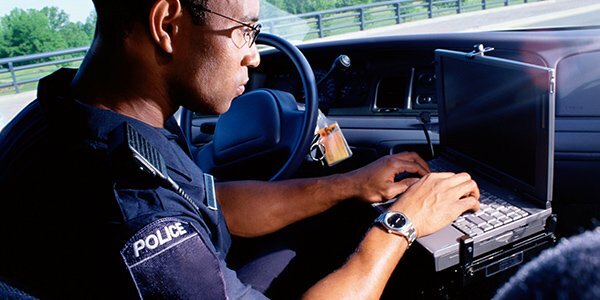 Can I Be Arrested for Installing Keylogging Software? Unless you are installing keylogging software on your own computer, or as part of a legitimate business operation, there's a good chance you could face some serious criminal penalties. While there are some legitimate uses for keyloggers, most frequently, these are used by hackers to steal personal information, such as usernames and passwords, bank and financial information, or any other information that can be sold or used to extract money from a victim. Keyloggers can be either software or hardware, and are used to record individual keystrokes on a keyboard. When keylogging software is installed, a hacker will be able to see everything that gets typed, and can use the data to figure out a person's most sensitive information. Criminals often install keyloggers on public computers hoping that individuals will login to personal accounts, thereby giving the hackers the information needed to commit identity theft, wire fraud, or just plain old stealing. When it comes to the legality of the software, or the hardware, generally, keyloggers, like other hacking software and hardware, are legal to own or possess. However, installing it on a computer, even your personal computer, can expose you to legal trouble. If you let anyone else use your computer without disabling the keylogger, or letting them know it is active, you are likely violating federal law. Secretly installing a keylogger on a computer owned by another person, business, or public entity (like a library), is a serious violation of the law. Monitoring the keylogging software, or returning to download the results, is likely to result in additional criminal charges. Additionally, if a person uses any of the information illicitly gained through the use of a keylogger, even more criminal charges can be brought. Even installing a keylogger on the computer of a family member could result in criminal charges. Under state and federal laws, unauthorized access of another person's information on a computer is illegal. This includes the use of keylogging software. Depending on whether the charges are based on state or federal law, the penalties can vary widely, but are rarely not severe. Keylogging can loosely be construed as a form of wiretapping, and under federal law, can result in a two-decade-long incarceration. Also, consequences for minors that hack school computers can include being expelled from school, as a dozen or so students learned a few years back after their keyloggers were discovered.